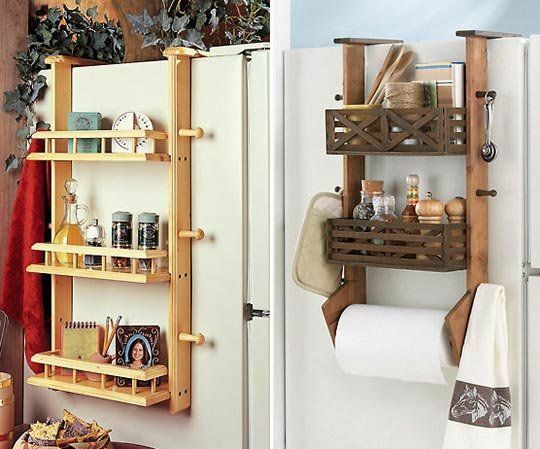 Previously we had featured some items that were essential for a tiny kitchen. 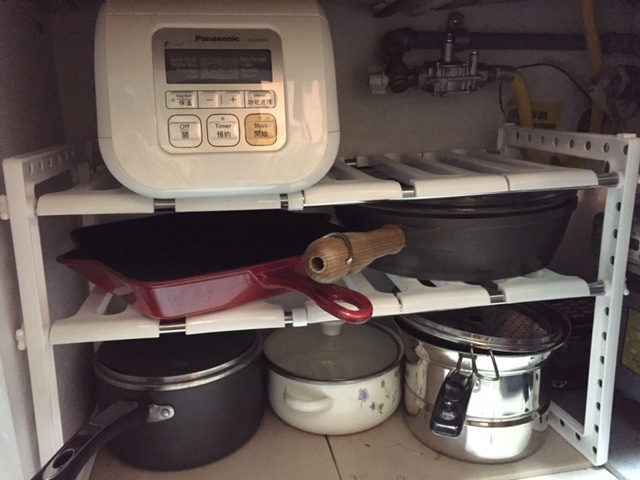 The ideas behind the post were to allow for you to cook in a more systematic and space efficient way. My current kitchen is only 27 sq ft and the existing cabinets just are’t enough! We needed more and luckily we came across some ingenious ideas and products over the years. We mentioned this versatile beast in a previous post. Not only is this adjustable lengthwise and in height, the horizontal plastic slats can be taken out and shifted to dodge those tricky pipes. The only thing we regret is not getting more because we haven’t seen them anywhere since our last purchase. 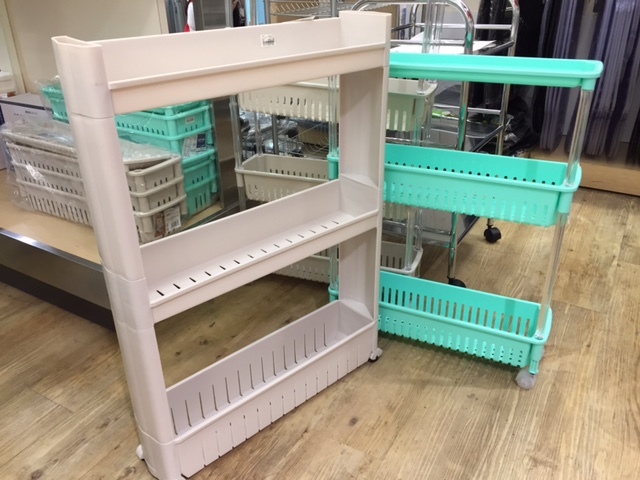 These mini pantries on wheels are amazing due to their super slim profile. This is where I put all my spices and condiments. Remember, verticality is a small space’s best friend. The one below can be taken apart and flat packed. You can find these in Wing On Department Store and different bric-a-brac stores. We love this because it uses vertical space in such an ingenious way. We have only seen this briefly available on Groupon and Wing On Department Store because they go like hotcakes. 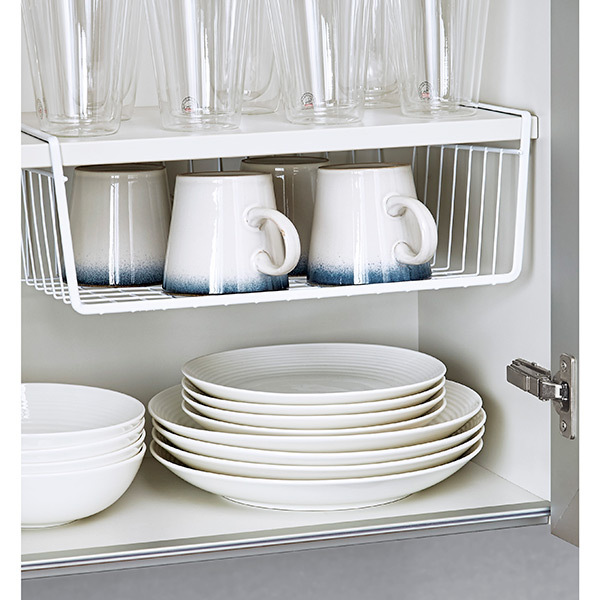 This is also more sturdy than magnet shelves because it uses gravity with the extra support of suction cups. Consider a metal wire frame or a wooden frame depending on the proportion of your kitchen. So keep your eye out everybody! 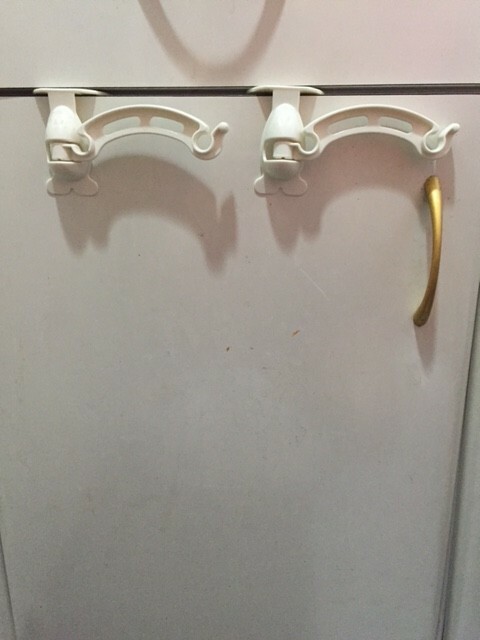 This makes a lot of sense in the kitchen. Not everything can be nested and stacked and if you can create just that tad more bit of space. This makes plenty of sense in a small kitchen and unfortunately we haven’t seen this in Hong Kong. You can however find this in the Container Store and order it online. 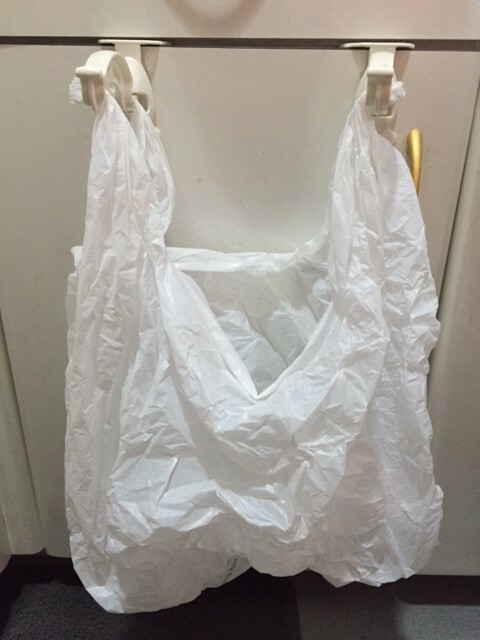 Listen, in a small kitchen that small plastic bag is necessary when you are cooking. Vegetable peels, egg shells, and the skin from protein all needs to be disposed of together and thrown out immediately. Why? You don’t want to stink up your bin, something very important and often overlooked in a small space. 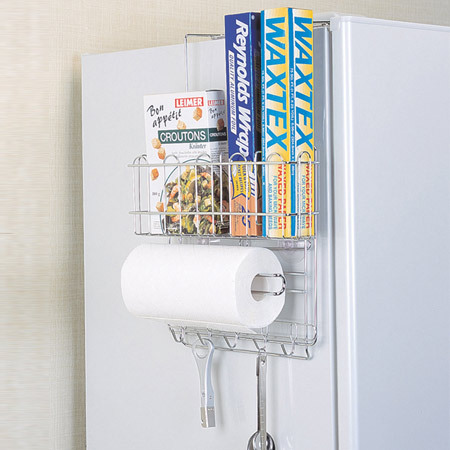 With this, you will keep the trash off the counter and sink, freeing up more space. Plus you can just fold it away when you are done. We got this at Living Plaza. 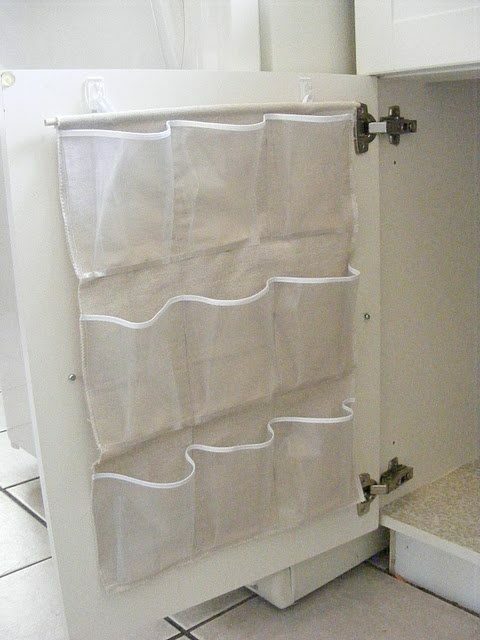 Bonus storage idea for small kitchens: DIY inside cabinet shelf storage using 3M Hooks, a tension rod and shoe organizer make for great additional storage for those spice packs and dried noodles.